In November of 2015 Grace Church Rokeby purchased the Village Green Tavern (11 Ralphs Terrace Rokeby). Situated on nearly 5 acres of land in the middle of our community the property is ideally situated for development into a Community Centre and a hub for community gatherings as well as an administration base for local community groups throughout the week. As with any old building, especially a pub, there were all sorts of issues that had to be addressed before the building could be used and in 2016 we began the task of removing 40 years of accumulated junk and redundant furnishings, bars, fireplaces, walls, etc that needed to go. Our first major project . . . So we began . 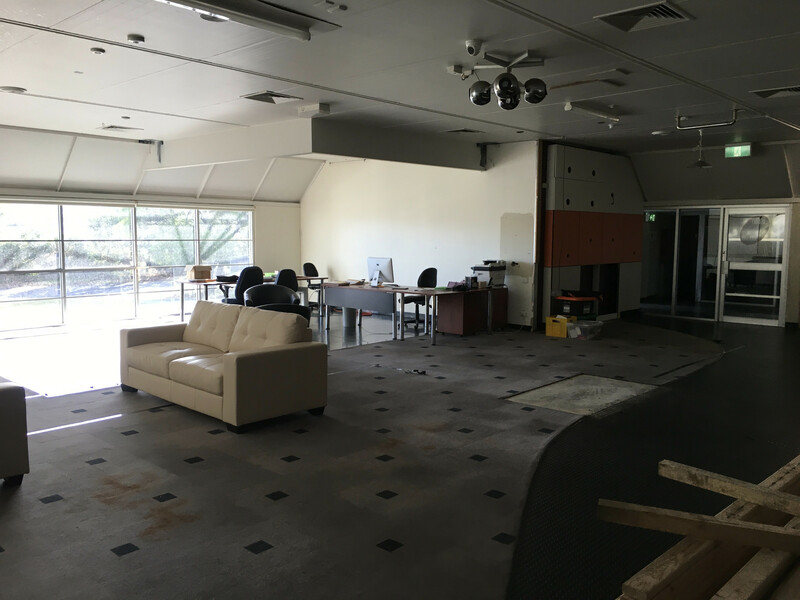 . . and 3 months later in July 2017 we were ready to host the Stronger Communities Together workshop in a brand spanking new function room! It’s amazing what you can achieve if you’ll just make a start. Since completing the room we’ve hosted meetings for Clarence Council, One Community Together, Mission Australia Housing and a bunch of smaller organisations and community members who needed a room to meet but couldn’t find one in our area that was available or one the right size. We’re thrilled that we’re able to help support the great work being done by so many groups in Clarence Plains through the provision of a spacious, clean and modern room for meetings. Early days yet, but we’re on the way. In 2018 we decided to tackle the front area of the Centre which used to be the old public bar. 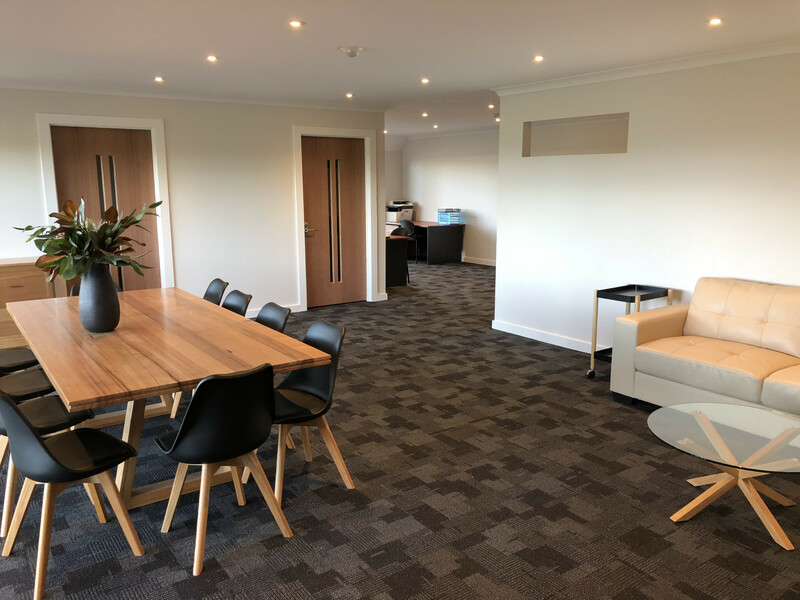 Our aim is to create Community office space as well as a training room that can be used for smaller sized groups that don’t need the larger back room. Below is a pictorial representation of our progress so far. We’ll be adding more pictures as we get closer and closer to finishing. We’re aiming to have all the work completed by the end of August 2018 with offices fully functional by September. Update: Well we didn’t finish when we thought we would, it took a bit longer but we finally made it! Scroll through our pictures below and check out the finished product. Our next project – 2019 . . . The next project that we’ll be working on will be the toilets and foyer/entrance into the building along with disabled parking. Currently the toilets lack suitable disabled access and are very dated and the entrance into the building is hard to find. With a little bit of creative building works we’ll end up with a lovely accessible entrance and foyer and once the toilets are upgraded and car parking complete we’ll have a facility that will be accessible to everyone in our community.